Tonight, I am happy. After an absolutely horrific night last night, I dragged myself out of bed today not knowing how I would make it through this day. I was so pleasantly surprised. Today was a gift. After my post last night, I went to bed with Ty and gave him his midnight meds. He immediately threw up after I pushed them into his belly tube even though he usually isn't so sensitive. It was a really bad one. I had to clean him up, change his clothes, clean up the pillows, the bed, clean out the suction machine, get him a new g-tube, among other things. It was okay, though. It felt good to care for him like that and I knew I was making him feel better just by getting him all clean, soft and cozy. Unfortunately, my tender loving care wasn't enough and he ended up vomiting every half hour or so for the next six hours. I think part of the problem was that he threw up his anti-nausea medication the first time. When 6AM rolled around I was able to give him more anti-nausea medication and finally we got to sleep. Thank God Lou let me sleep late and Gavin had "lunch bunch" today at pre-school (which means we didn't have to pick him up until 2PM). When I came downstairs for the day Ty looked pretty good but so tired. Lou and I traded places so he could go up for a nap, and I shared some beautiful and peaceful quiet time with Ty until it was time to pick up Gavin. When we came home, Ty was doing so well. He was awake, he was speaking well and he was in a good mood. All that rest in the morning helped us to put last night behind us and fully enjoy each other into the evening. Before bedtime, I insisted on giving Ty a bath against his will. I needed to wash away the sickness from the night before and I promised he would feel so good and cozy afterward (he is always very reluctant because it is painful for him to move around and especially getting in and out of clothes). Bathtime was a gift, as always. Lou and I each take one side of the tub. Tonight I washed his hair and face while Lou had his feet. We relished in his nakedness from the tips of his fingers to his ears, the bottoms of his feet to his adorable belly button. His clean, soft skin is as delicious as milk and honey. Ty and Gavin both fell asleep beautifully so we dared to watch a movie tonight. We Bought a Zoo. It was a really sweet movie and Matt Damon is just amazing in every movie. There was a scene between him and his 7-year old daughter at bedtime where she asks about her mom (who died). "Do you worry because you feel like you can't see her? Hear her?" Then they reach into the air and snap their hands closed. "Put her in your heart. Do you feel her?" It is a sweet, loving idea, but I know that it certainly won't be that easy if Ty leaves me. Today I am okay because he is still physically here. My days are still consumed with caring for the love of my life and that is keeping me sane. I am going to bed with a heart that is overflowing with love and gratitude for my entire family. I am thanking God for letting me be their mama, and I am always praying for a miracle. Sometimes I can vividly imagine Ty as an older boy of seven or eight. Standing tall and thin on his own two feet. Running and playing and of course, smiling. Those are my best daydreams. How I want that for my brave boy. What would I do without him? He is my whole world. My everything. My best good boy in the whole wide world. I can't say enough about what incredible parents you and your husband are. What an amazing place for this sweet baby to be. If he is meant for struggle, he has the right team on his side. As I read your posts, I cry and look forward to, while also become terrified, of my own time as a parent, which is yet to come. If nothing else, know that you are both amazing, amazing, amazing people, parents, humans... we should all be so lucky to have that kind of support! You and your family will be in my prayers and thoughts. I posted on your "Aching Heart" post about an independent study I'm working on to help heal the hearts of those who are suffering, particularly from cancer, in a not-for-profit way, and I would cherish the opportunity to help your incredible family- at absolutely no charge or cost- you deserve a break girl! I have so much respect for your super strong motherly instinct, and your incredible honesty here. If nothing else, you, your family, your amazing babies, will be in my prayers. There should be a million mothers like you, this world would be a better place! I read your post everyday. I have your blog bookmarked on my phone. I can't wait to hear how your day has gone. I am sad when it is not so good and i feel so happy when you have had a better day. I normally always pray for the Lord's will to be done. I found myself a couple nights ago praying for this huge miracle for Ty and Lane Goodwin. A modern day miracle. "oh Lord, just please touch these precious boys. Please let them jump up and run and play and live out their lives for you. Touch their mommas, dads and their brothers. Give them all comfort and strength." I don't have any answers. I do know life isn't always fair. I don't get why some of us have to go through horrific things. However, I do know that you and Lou were specifically chosen for Ty. It is so evident why. I do not think anyone could love him more than the two of you. I pray that your day will be wonderful with Ty today and endless. I just love the picture of you and Ty kissing. TY looks so adorable as always puckering his lips as mommy goes in for a kiss. Like so many others I love your son so much!! Your words are so powerful, that I hope someday you form them into a book.....and most of all I hope that book someday has a wonderful ending. Prayers and love to you all. Sweet Ty: I am so glad you had a wonderful day after your restless night. You are such a beautiful little boy. I can't go to bed at night until I read the update on you from your awesome momma. I wish I were half the momma yours is!! I don't have as much patience as I should; but, hopefully, that will change. I get a lot of inspiration from your family!! Gavin sure is a cutie. I love you and will pray for you again tonight. Here's to a peaceful night. SuperTy: You're my hero! Sooooo happy to hear that you all had a good day! God is good and I think and pray for him all day long! Sweet dreams beautiful baby boy! I will keep praying for a miracle he belongs here on earth with his family he's such an angel that needs to stay with us. I keep thinking the same thoughts if only and maybe the MRI was wrong. I wish with all my heart this wasn't happening to Ty on my last post I said If only I could do something to give him life a long life with lots of smiles many many birthdays and muddy puddles I really wish I could just wish this monster away from him and he could be healed . I'm so sorry he deserves to grow up to be happy to continue to be this amazing angel on earth he deserves TO LIVE! Cindy....I have also been sucked in by the beauty of Ty. I admit that I also look forward to updates on his condition and pray for him every day. 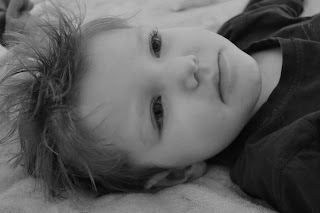 I am the mother of a 3 year old....and can't even begin to imagine how hard it must be to see your baby in pain. I pray for God to give your family the strength you need.I am so sorry....and Ty is so special, it is incredible how strong his little spirit is. I rack my brain wondering how such a tiny being can endure so much, and frankly it makes me feel insignificant by comparison. Please give him a big hug and kiss from the Cruz family in CA, who think of him and pray every day for a miracle.We love you Super Ty!!! God bless you and your family. I came across your blog today for the first time 10 minutes ago here in Western Australia. Many, many tears later, my 6 year old daughter walked into the room to receive the biggest kiss and hug that I could manage. Thank you for reminding me how precious our children are. I will continue to pray for T.
Can't go to bed without my nightly cry. He is so precious! He reminds me of my own 5 year old. There is an amazing bond between a first child and their mama and through reading your posts I know how awesome your bond is with Ty. Wishing you all a beautiful, restful sleep full of dreams of a bright future. So sorry last night was so bad for you. I was glad to hear Ty felt better today and that you got to spend time with Gavin. My heart breaks for you each day. I am hoping for a miracle and pray for your family and SuperTy each day. love and prayers to Super Ty and Gavin along with you and Lou. And you continue... Horrific nights.. Wonderful moments.. (Sigh).. It's so unfair.. So unjust! No one especially a child should have to endure what your family does for even 1 minute! I love how you make the best of it. I love how you love. Hi Cindy, after such a horrible night, I am so glad you found some peace yesterday. This is my favorite time of year. The cool crisp air and all the beautiful colors of nature, just love it. I thought of you, like I do everyday, and was hoping you got to enjoy some of it. So glad you got out of the house. 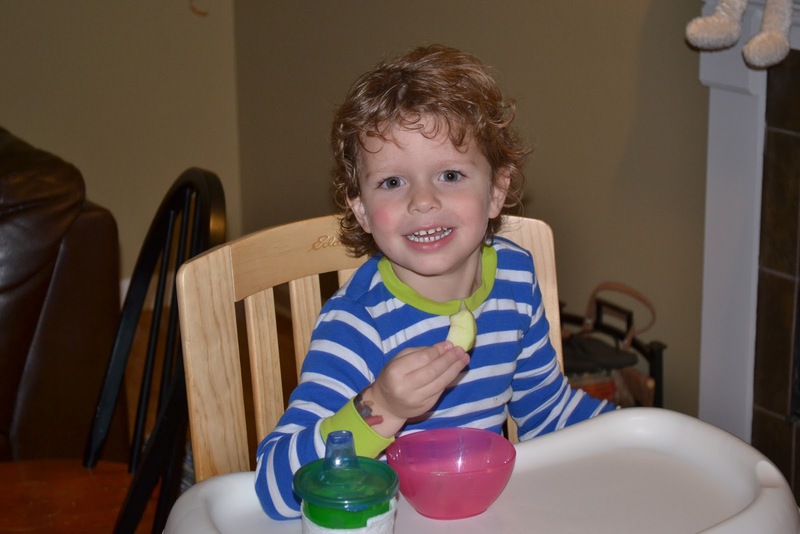 Gavin is simply adorable with that curly hair. You are one amazing family. Always praying for your miracle! Hope it was a better night. Beautiful post that you wrote. I love the picture of you and Ty kissing. That just warms my heart. Gavin is adorable. His hair is perfect for Thor!!! So happy that you had a wonderful day and that you got to spend quality time with all of your boys, including the big one. Praying for more peaceful days for you and your family. Always thinking of Ty and sending prayers for that sweet, sweet boy. Thanks as always. One day, no matter what happens, you will write a book about Ty. You have a gift, both as a mother and as a writer. Prayers as always. Cindy, I truly believe that Ty is going to start the revolution against pediatric cancer. I truly believe that we will see superty on products the way we see Susan G. Komen. Thank you for the gift you have given the world. Praying for the four of you always. Please know we are with you on this journey in spirit and in love. Your heart is overflowing and my tears are overflowing from the moment I saw the picture of you kissing Ty. Beautiful! And I can't help thinking that he is throwing up to get that nasty cancer out of his body... So glad today was better. Gavin is a cutie and he looks a lot like Ty! As always, praying for Ty's healing and for you and Lou, the strength and courage to deal with everything. You are showing us that Love conquers all - NOTHING will ever take that away. I am so glad you had a good day, and got to enjoy the fall weather with Gavin. I am so amazed by your strength and I pray for you, Lou, Gavin, and of course precious Ty daily. You guys are in my thoughts and my entire family follows your incredible journey. Here's to a calm, peaceful, joyful Friday and weekend with many more tender moments. As always, lots of love and hugs for each of you! P.S. Gavin's hair is gorgeous, my vote is to definitely let it grow so he can be an even more authentic Thor! Ty will always be with you because he owns a piece of your hearts that nothing else can ever fill. Tell him that you will look for his signs and he will send you plenty to show he is always there. We lost our son and he sends signs almost everyday. They have more to do, just in a different place. Gavin is beautiful just the way he is! No haircut needed. The shine in his eyes says he is well loved. Sending prayers for strenghth, comfort, and a miracle. Cindy, i am so happy that you are taking some YOU time. It is extremely important to catch a breath of fresh air. I bet Gavin had a great time at the park. Glad that Ty had a good night. You are an amazing person, and i know how it feels to look at your beautiful child who amazes you everyday with his pure will and fighting power. Ty will forever touch everyones heart and that is because you have the strength to share each moment with us in your blog. Looking forward to hearing about more great days ahead. Ty, My continued & constant thoughts & prayers are with you & your family. Thank you, as always, for sharing Ty's heartbreaking journey. Ty, has deeply touched my heart & soul. Cindy - the picture of you and ty is so heartwarming. you and lou are the strongest, sweetest parents. i am so happy ty had a good day. i know one day i will be buying the book that you are meant to write about your experience with pediatric cancer. i hope you never stay quiet until a cure is found. you are the voice this horrible disease needs. give ty a kiss and keep gavin's hair long! :) it is adorable. xoxo much love and lots of prayers always. new york. Since "meeting" Ty, my production at work has seriously slowed, lol! I can't help it, I've absolutely fallen in love with him and can't get enough of his smiling face. I hope with all of my heart you have a million more beautiful days with your gorgeous family!! My hearth aches for you. I've developed an inexplicable love towards your family and Ty. Every night I pray to God for a miracle. Im so glad you got to spend some good quality time with all your fella's. As hard as it is to be away from Ty spending time with Gavin is important as well which is what makes such a wonderful mother. Im sure it would be very easy to stay with Ty ALL the time and I imagine it is diffucult to be away from him for even minutes at a time but you are so strong and determined I am amazed by you and Lou daily. I'm so glad you all had a good day. You are such an amazing, strong family and an inspiration to us all. Thank you for sharing your story. As many have mentioned, you have made me a better parent and more appreciative of those small, precious moments we have with our children. Because of your story, when my son asks me to read one more book to him at bedtime he gets it no matter how tired I am. We were at a party a few weeks ago and it was raining. (You probably know where this story is going.) Normally, I would have tried to keep him indoors to stay dry and clean, but some of the other kids were outside jumping around in puddles and he desperately wanted to join them. So naturally, I thought of Ty and it was a no-brainer. My son went home completely soaked, but he had the best time. You and your family are in my constant thoughts and prayers. I pray for good days for Ty and all of you, a miracle (of course), strength and peace. I've also been praying for angels to surround you all, so I like hearing your stories about them. Thank you again for sharing Ty's inspiring story. Saw a beautiful rainbow this morning on my walk and all I could think about was TY and praying it is part of his miracle. Keep your faith. We are all here supporting you. So glad you had a good day! You and your family are in my thoughts every day. Tys blog is the first thing I look at in the morning when I get to work. I am praying for that miracle for you. As a mom, when I read what you and your family have to go through breaks my heart in two. You are a special person, as is your beautiful Ty! May you both be blessed with a miracle! a beautiful story of hope!!! thanks for sharing. Such much love emanates from your pictures with Ty. Your souls are, and will always be, forever one. I was so happy to read that Ty and you had a good day. Much love and prayers to Ty, Gavin, Lou, and you! What a beautiful, special little boy you have. I am praying for a miracle for Ty and your family. My heart breaks a little each time you write about a bad day or night, but I am so happy that yesterday was a good day. Keep fighting Ty - lots of people who don't even know you love you so much! When you have a child who is so ill and who requires so much of your time, love and energy it becomes your whole life. I haven't yet found ways to not feel so much loss. Tyler was the love of my life and I cannot imagine living without him but somehow I do everyday nor can I imagine transfer those feelings to others. Snuggle and love him, keep a lock of his hair for yourself. Put it in a locket or another piece of jewelry you can wear. Thinking of him and missing him will always be with you and it will take a long time not to picture him sick but it will come. Such love is shown in your top picture. I know you will treasure that always! Prayers for lots more good days ahead! Your love for your son is an inspiration to all. I am praying for him everyday. That picture of you and Ty kissing, just made my heart grow 10 times. I pray for so many beautiful moments like that for you all. I see pics of Ty and I have sooooo much hope that he'll be fine - that a miracle is happening inside his little body and he's going to be fine. But your words are preparing us for the worst - I know you still have hope but I also know that Ty has fought valiantly for so long, that unless he could be made healthy and whole - that maybe it's OK if he didn't have to keep fighting to be in this world. I have no idea what you'll do without him Cindy and Lou - I keep praying you never have to find out. How great would it be to see Ty at 7 or 8 so strong and growing in to a big boy!!! A miracle for the ages and I'll keep praying every day for it. ALways sending hugs and love your way Campbell family. Thank you for making me a better person and a better mother. Promising to repay your kindness by keeping Ty in my heart always. I hope you have another good day. You and Ronan have made me a better mommy to my own son. Lots of lov! I wish I had the words to express the way your family has touched my heart. I think about Ty constantly, and those smiles of the day are just sweet beyond all imagining. Last night my little guy and I tossed coins in a fountain, and our wishes were for him. Please know that all of you are in our thoughts. I adore your family. If only I could take your pain away. So glad you had some beautiful moments. 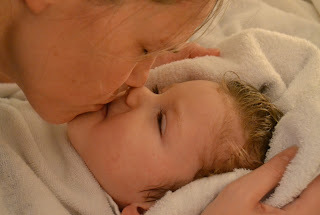 The post-bath kissing picture is gorgeous. I love it. I was talking about you (Cindy), and Ty last night at my daughter's soccer practice, with another friend who follows your story, too. I know you read our comments, and you say you find comfort in them, but I hope you realize that when those of us say you're making us better parents, we REALLY mean it. The change you've set into motion in so many of us is so profound....not just as parents, but as people. I spend so much of my days lately, brainstorming about all kinds of fundraising ideas I have for next September, to really make the world take notice of Pediatric Cancer Awareness! We are going to make this happen! And all because of Ty. I know so many of us have said it, but I have to say again - what Ty has accomplished in just 5 short years downright dwarfs what so many have accomplished in decades! He truly is amazing. You truly are amazing. Our prayers are non-stop for that miracle, and for comfort and peace, and happiness in your home. I am SO happy you had a good day after a horrible night. Poor little Ty, I feel awful he was throwing up every half hour. I'm going away this weekend and will not have access to my computer so I'm praying that you, Ty, Lou and Gavin have a wonderful peaceful, restful, fun and enjoyable weekend. I hope Ty doesn't get sick again, I'll be thinking of your family all weekend, Ty is such a wonderful, sweet best big boy in the world!!! So glad to hear Ty and all of you had a peacful day! He is so beautiful! I can't tell you enough how much you are opening my eyes to everything around me. And because I'm becoming so aware it is passing on to Julia. She tells me now how she talks of Ty in her religion class and that they pray for him each week. I want to thank you for helping me to realize that is is ok to be silly and to let the dishes sit in the sink. You are such an amazing family and you are in our thoughts and prayers every day. Stay strong SuperTy! Cindy, I'm a friend of Kim Ricca's and have been reading about you and your boys for about a month now. I'm horrible with the written word, but suffice to say, my heart is rising and falling with you through this journey. I have felt that I have no right to comment, because I know nothing of the horror and, through that, the other side of joy and love that you are living. But I wanted to share with you something that my kids and I do, that you reminded me of when you wrote about that scene from "We Bought A Zoo". As a working mom, I often travelled, particularly when the kids were your boys age. It was hard, especially at bedtime. One night, in some hotel room, as I was talking to them, I was looking out the window, I had an idea. At that moment, we began a tradition of "bouncing kisses off the moon" to each other. Its become a ritual we use whenever any of us are apart, and even for us to use with those of us we have lost. The moon is always there, even when its cloudy, even when you can't see it. Sometimes its tricky, and that's part of the tradition. But we know, its everywhere, the very same moon. My sister-in-law is a childrens' book illustrator and we swear some day we are going to get around to writing a book about this tradition. Maybe someday we will. In the meantime, maybe you, Lou and the boys, can start bouncing kisses off the moon to family and friends. We're bouncing them to you already. God Bless. Thank you Cindy for sharing your life so openly. Pediatric cancer was not previously on my radar. Your poignant words have made a difference. Your family is beautiful, Cindy. I cannot get enough of your Ty. He is precious beyond words. I watched the video on fb of your interview. Your love for Ty is abundant and infectious. I pray for a miracle several times a day. Have you read the book The Kissing Hand by Audrey Penn? It is beautiful. When my children were toddlers I always gave them a kissing hand. It never wipes off! God bless you, Lou, Gavin, and SUPER TY. I am new to Ty's story having come across on Facebook. Your blogs bring tears to my eyes everytime. As mothers it is amazing the lengths we go to to protect our children and you are truly amazing and inspiring. No child should have to go through what your baby is. Thanks to Ty and you I am learning to not sweat the small stuff and looking at things in a different light and loving my kids in a whole new way. Every night when I kiss their lips I think of your beautiful pictures doing same with Ty. Thank you for sharing your story with all of us. I am becoming a more patient and loving mom because of it. If anyone deserves a miracle, its Ty..I'm praying for it.. This feels unreal like I'm looking at photoshop pictures of most beautiful kids on the planet with their gorgeous mama. It doesnt feel as if I'm looking at a boy whose body was crippled by cancer and who is on so many meds others would be out. Pure beauties. I am looking at those pictures like I can touch them like I can give kiss to Ty and play with Gavin adorable curls. I can smell how clean and sweet Ty is. How much I love it. I am sorry Cindy if that's freaking you out but I do so so much it's unreal. Never in my life I wanted anything more as much as a miracle of full recovery for your boy. I'm sad every day I cry every day I can't believe that this is what's happening at your house normal life pre k and in parallel Ty who is "dying" I hate the word and still don't think it will be the outcome so that why it's on quotes. I wish I can touch his soft cheek and make him feel better and I wish I could share a glass of wine with you while my boys play with yours. Oh please G-D this would be the ultimate miracle the one and only. Hoping and wishing you a beautiful weekend Campbell family. I look forward to reading your post everyday. You validate my feelings and thoughts. My son is fighting a very similar battle as Ty. His cancer is in his spinal column but he also has that leptomenengial spread which caused hydrocephalus. He has a programmable shunt, too, dialed to 1 (lol). He was diagnosed in March and have gone through chemo and radiation which has been successful so far. James had his 4th birthday while under-going radiation this summer. I just want you to know that I pray for Ty as much as I pray for my own son. Your blog helps me through the day and keeps me from going crazy so that I can care for James. Like Ty, James cannot walk, at one point he couldn't even move his arms, but he is getting stronger each day. You recently accepted me as a friend on Facebook, my name is Heather Bedford, if you have a chance (long shot, I know) you can read James' story on my page. Keeping being a wonderful mommy to sweet Ty and an inspiration to many, like myself, who are going through the same battle. My husband and I lost my stepdaughter last February and I don't wish that type of pain on another soul so I pray for you and your son every night. Reading your posts make me hold my 2 year old son a little bit closer every night and it makes me appreciate him even more, especially when he's being stubborn and difficult. I hope you take solace knowing that so many people are praying for Ty's recovery and for your family's continued strength. Remember the words of Paul in Romans 8 "All things work together for good for those who love God and are called according to His purpose". I pray every night that Ty will be healed here on Earth. That I know if God helps him do that, that he'll be a great man. He'll do great things in his lifetime. I pray this so much. I have two little boys of my own and your words and Ty's story make me remember that the little things do NOT matter. It's spending time with my family. Relishing every second I have with them. Everything else is just filler. God bless you and I thank you for sharing Ty's story. He has changed people's lives with your words. You & I went to high school together. I stumbled upon the Facebook page you set up for Ty when a mutual friend of ours commented on it. I've been reading your blogs religiously since then. With each morning's entry I find myself holding my breath in the hopes that it will read that Ty has been cured. I think of you often when I am doing fun, messy things with my boys. You have made me a better mother. I will continue to pray for Ty. Adorable picture of u and Ty....this clearly shows a mother's love. I keep thinking and praying for Ty and ur family. U both work great as a team in Ty's care. May God keep Ty safe n may give u comfort. I hope Ty has a better evening. My continued & constant prayers are with you & your family. I have been deeply touched by your courageous & heartbreaking journey. Ty, you will always have a very special place in my heart. You are truly amazing! There are really no other words. You did a beautiful job in the Journal News Article. You are changing the world! I pray for all of you everyday. I am praying for Ty, he is on my mind daily so I check out your blog. I hope you have a good night tonight, I want God to give you that miracle so bad and mostly I want Ty to keep smiling. He is so blessed to have the parents he has, you guys are amazing. I also needed to say thank you, reading your blog along with Mayas has given me a great gift things just seem more vivid, and I appreciate my children more profoundly. Thank you for that! I believe in miracles. I believe God is listening. Cindy keep doing what you are doing. Ty is so lucky to have you as his mama. Everyday is a new day. Wake up and continue on. Let Go Let God. Prayers sent your way always. I am also praying for a miracle. I am drawn to your story, and I've been visiting your blog daily. My heart breaks and tears fall as I read your journey. Your boy is a true hero, a beautiful, beautiful boy. If God came to me and told me he would grant me one wish, I would ask him..'could You please let Ty live a long, healthy life. I know he is angelic, but please God, let this angel stay here with his Mom, Dad, brother and family'. Please God. Thank You. Every perfect gift is from above, as with Ty. God gave Ty to you both, because you are what he needs, exactly what he needs; and God knew that. Although it is hard to understand;...God promises to not give us more than we can handle. I wish there was some way I could adequately express how amazing and beautiful your family is. I watched the TV interview you posted on facebook and it was so beautiful and heartbreaking. You and Lou have gone through so much for your sweet boys. I know right now it may feel almost impossible to believe but there are better days ahead, whatever that may mean and whatever that may look like. They will be better because you two know how to love more deeply than most. You allow yourself to feel the incredibly good and the unbearably painful. I wish you and especially Ty, didn't have a moment of pain but you continue to find the blessings in everything around you and I believe that is what gives you the strength to endure. What you all are going through is gutwrenching but please please know you have opened the eyes, hearts and minds of so many people to childhood cancer. No matter what, Ty will live because of YOU BOTH! Thank you for your willingness to allow us to glimpse into your world and get to know your beautiful boy. My deep and constant prayers remain with your family. Miracles do happen, all you need to do is believe and put your faith in God. Sweet Ty is already a miracle for he has touched and impacted so many lives in 5 short years, we will all continue to pray for him to be healed so that he can live a long healthy life and continue to inspire others. God bless you all, remember that you are never alone, we are all with you praying to God to heal that sweet sweet little boy of yours. God bless you and your family. Will be praying for Ty tonight. It was very hard to watch that video and see how Ty is suffering. The paralysis is heartbreaking. Why can't there be a better treatment for these little ones? It makes me so mad - F U CANCER! Society values those that plan and succeed. However, there are times we have to ignore what society indicates is successful lives and just savour the moments of happiness, try to muddle through those that are not and define our own ideas of what is success, what constitutes true happiness in our lives. Sounds like you had a successful, happy day. Hope you have many, many more. CINDY! You are the voice! Cindy, I think that the smile of the day was in that first picture of you smooching those sweet tender lips on your perfect boy. If you look at it again, you can see the joy in Ty's face. His eyes have such immense love and trust and comfort and he looks so happy to be being kissed by his mommy. You two really do have a deep to the bone connection. I am so terribly sorry that you have to think of losing your beautiful baby boy. It was nice to hear that you had some fun with Gavin. He is wise beyond his years too and he loves his mommy and daddy and brother so much. I hope you have some peaceful moments tonight. I just wanted to share that I think that is one of the best smiles of the day I have seen. There is just something about it. You both looks so serene and in sync and the love is overflowing. I dreamt of Ty today while I napped with my 3 yr old son after he came home from nursery school. Ty was running all around down my hallways, going from room to room. His giggles were coming from his belly with that beautiful smile. Here's the kicker , he had on his captain America hat on! It was such a happy , lovely dream. It was just 2 boys running and laughing and having so much fun. Hope this made you smile. Cindy, Ty, and family, just writing to send my love and to provide you with some words of encourage! We are all rooting for you, Ty and your awesome family! You are an AMAZING MOM with so much strength, a kind soul! Truly God couldn't have picked someone better, someone more right to be with Ty! So proud of you! I'm going to pray for your little one every day. My dad had a brain tumor so your story hits home for me. My dad is the bravest and most courageous man I'll ever know. What a privilege and blessing it was to have him in my life. I'll never know why it had to be my dad to get sick but I'm just glad he was my dad and I wouldn't change that for anything. Your son is going to make it. I believe God will answer all of our prayers. Never give up hope and faith. My family will be praying for your son. As a mother I'll pray for strength for you. You are an amazing mom with a truly amazing family. I watched you speak so lovingly and eloquently about your SuperTy on the journal news report today. I only came to learn about Ty and his valiant battle a few weeks ago and yet he and your family have touched my life in a way I never would have imagined. Each day I hug my children a little longer and a lot tighter. When I find myself becoming overwhelmed with the chaos of the day I think of how your day must be. How you cherish each and every moment. I then take a deep breath and say a little prayer for all of you and thank the Lord for the blessings in my life. May you one day find comfort in all that you have brought to this world by sharing your very personal story. I pray the Lord will watch over your beautiful family and may your miracle be only one precious smile away. God Bless your adorable loving Ty. You got your beautiful smile of the day from Ty in the first picture where you are kissing him. What a beautiful picture. Please God hear our prayers for a miracle for this little boy who is the sweetest boy any of us have ever "met". I came across Ty's story on LoHud.com. I spent much of last night and tonight reading your blog and looking at the beautiful pictures. Ty is an incredible little boy. I admire his strength and courage. My heart goes out to you, your husband, and little Gavin - but just as I admire Ty, I admire your family. You are a wonderful, strong, loving family. I will keep you in my thoughts and prayers. Ty truly is a miracle - a beautiful, beautiful little boy. You're in my thoughts and prayers, especially in these uncertain days. That picture of you and Ty after bathtime is absolutely priceless! He looks so good, has color, does not look like a sick little boy. I continue to pray for that miracle. 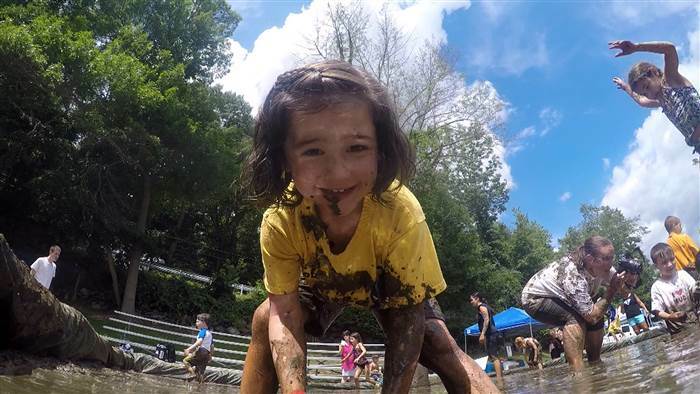 Looking forward to attending the event for Super Ty in Mahopac NY Saturday, which has now become today. My thoughts and prayers are with that little angel and Ty's family tonight and every night. I am having a hard time sleeping wondering how Ty is doing tonight and wishing he is comfortable in his moms arms dreaming of candy and Captain America. God bless Ty, Cindy, Lou and Gavin, we are all pulling for the worlds greatest super hero!!!!! About a month ago I learned of Rockstar Ronan and not a day has gone by that I haven't thought of Ronan and Maya. I read your e-mail to Maya last week and have been utterly sick to my stomach with grief and tears for you both and for all that you and your beautiful little boys have endured over the past few years. Since learning about Ty not a day has gone by that I haven't thought of you and your strength. I pray for your beautiful little boy each night and ask God to keep him safe and Bless him always. I lost my only brother to cancer 11 years ago. Unlike Ty and Ronan he never had the opportunity to fight because he was taken from us less than 2 weeks after being diagnosed. In many ways I thank God that we didn't have to watch him suffer and wither away. I KNOW I would not have been strong enough to watch him suffer. As a mother I cannot even fathom what you have gone through and how you have the strength to get up and face the day each morning. I pray for God to guide you and help you through all that will come. May God bless Ty always and forever be in your heart. You are an amazing mother! Women like you inspire me and I strive to be a better mother because of you. Thank you for Opening my eyes to this travesty. I will never be the same and I will never take one moment with my children for granted. Hugs and kisses to you and your beautiful little boy. What an incredibly beautiful picture of you and your little boy. You can just see the love between the two of you. I will be praying for Ty. What an incredible family you are. Your boys are just beautiful. You were on the news (on a website) over here in Australia so I went to this page. Your boys have beautiful smiles and sparkly eyes. Much like you I noticed in some of the photos! Thank you for sharing your journey with us. I don't know Ty, but I won't forget him or his beautiful smile and sparkly eyes. My heart goes out to you and your family and for Ty. You really are super Ty .... Now and forever. God is GOOD!!!! He is so good, ALL THE TIME and he LOVES YOU and TY! He has the BEST for both of you, I know it. His ways are greater and beyond our desires/understanding. His ways are flawless and always planned. Your blog and story made me cry so much. Life is unfair and I cannot even imagine what are you going through. I sending my prayers for you and your little awesome boy. I read your blog and cried. It is so unfair, and I wish I could take that sickness and give go back to 2010 before all this. Kids are so much bravier and understand all "this" at a higher level, and as time go on you will be amazed by this, if you havn't already. What gorgeous boys you have. I cried watching your videos and reading your posts. Your love, strength and pain touched me. Thank you for sharing. How precious our children are. Thinking of Ty and your family. youre a strong beautiful person, thank you for sharing your story. So sorry to hear of your pain and struggles. Your courage and candidness is inspiring. Are you aware of the curative properties of cannabis oil? It is perhaps the most powerful anti-cancer medicine on earth (so much so that it has the potential to put the mainstream cancer industry out of business). Go to YouTube and look up Rick Simpson's documentary "Run from the Cure". Rick has been healing cancer free of charge using cannabis oil for years. The "authorities" tried to shut him down because it works too well. Best of luck to you and Ty. May he heal and go on to live a long and happy life free of cancer. Cindy, it is 6am and I just woke up. I just had an amazing dream about my mother. We were rollerblading and doing all sorts of bizarre things together, laughing the whole time. Now obviously my mother didnt have the same dream as me but I would of put money on it that she was right there with me. I wanted to tell you that maybe that is what heaven is like. Maybe you will be there with Ty. Maybe he can have the most vivid "dreamlike" experiences whenever he wants with you. As a mother of three I think that is what I would like to believe because the fear of your child without you is too overpowering for me. You and your family are in my thoughts. I hope you get to read this post. That is the most beautiful picture I have ever seen of a mother and her son. May God bless you Cindy and Ty. Making precious memories for you and your family will be a lasting legecy to Ty. Your son Gavin will also be storing his precious memories of a special little brother and the love you all share will help to carry you through all those dark days.Never give up hope!!! .. strange and wonderful things happen in this world that we can not predict. You are all in my thoughts and prayers .. if I could take his and your pain I would .. I've had my miracle, and wish so much I could pass it on to this brave family. I just stumbled across your blog and my heart cries out for you and Ty. May the Lord grant you his grace, one day at a time. Just so you can find peace one day at a time. I will pray for you. I've just come across your story and my heart breaks for you. I am praying hard for a miracle, peace, strength, or just some relief for your boy and what he must be feeling daily. Hi Cindy & Lou. I’m from Melbourne, Australia & today read an article on one of our local news websites about your family and the pain and suffering Ty is going through. I have just finished reading your blog about Super Ty and looking at the pictures of your son with his smiling face and his beautiful eyes, my heart breaks for him and your family. As a mother myself I cannot imagine the pain you are feeling watching your baby boy suffering but my thoughts & prayers are with you all. Your bravery in sharing Ty’s story means that this little boy will be remembered by thousands of people from all over the world. Peace and love to you all. God smiled and said, ‘You are a brave soul I know, and thus I will grant your request. But even though you are very brave, you will not be able to do this alone. I have known since the beginning of time that you would ask for this, so I have carefully selected many souls to care for you on your journey. These souls will help you create your miracle, however they will also share in your suffering. Two of these souls are most special and they will care for you, help you and suffer along with you, far beyond the others. Thus at that moment, the brave little soul was born into the world and through his suffering and God’s strength, he unlocked the goodness and love in people’s hearts. For so many people dropped their differences and came together to show their love. Priorities became properly aligned. People gave from their hearts. Those who were always too busy, found time. Many began new spiritual journeys – some regained lost faith – many came back to God. Parents hugged their children tighter. Friends and family grew closer. Old friends got together and new friendships were made. Distant families reunited and every family spent more time together. Everyone prayed. Peace and love reigned. Lives were changed forever. It was good. The world was a better place. The miracle had happened!!! this is beautiful. Cindy, we are all praying for you and for your precious Ty. Oh my, that is exactly how I believe it is. That warms my heart. Who is the author? I found this story and it made me think of SuperTy. You and Ty have opened my eyes and heart. I am forever changed. All of the sweet children who are battling this horrific disease are the miracles here on earth. Because of them I know that one day, hopefully sooner then later, a cure will be found. Better treatments without so many terrible side affects. I watched the news story you posted on Facebook. When you picked him up and could hear the rattling in his chest, I lost it. I've cried before, many times, for your precious son but seeing it was a new reality. Then you spoke about how Ty being here is the miracle and I cried even harder. I will never stop praying for the miracle that we all want for Ty. But I hope it helps to know that he was chosen special by God to do something that not many of us will ever be able to do. I just read your story. Your son is amazing and an incredibly strong young man. I have an older brother who had a brain tumor in 1969. It saddens me that children still go through this. Your family is in our thoughts and prayers. Sending prayers for Ty's miracle all the way from Tasmania Australia. lots of love from the bottom of the world! Thank you for sharing your brave words. They brought me to tears. I have two boys of my own and am grateful for every moment of our lives together. You have such a darling brave little boy who doesn't deserve this. I keep you all in my thoughts and prayers. I keep you all in my thoughts and prayers. Good morning from Nebraska....Team Jack will be making an appearance on College Game Day, some raw emotions from his family on their story of Pediatric Brain cancer....These kids Jack, Ty, Ronan are really making an impact and raising some funds while doing so!! Nebraska fans are praying for you SuperTy, and your family too....keep up the good work Campbell family!! I am an early childhood teacher from Australia who just came across your blog and has spent the last few hours reading your heartbreaking entries. It just devastates me that your beautiful boy isn't able to go to school and play and learn and have fun with all his friends. I had a little boy in my class last year with a rare form of pediatric cancer who was so frail at the beginning of the year. I was so scared to administer his medication but he just endured it all with amazing resilience. I was just in awe of his shining spirit and though I was the 'teacher', it was he who taught me so much. Today he is in remission and just the most radiant boy, full of energy and life, and I pray so, so much that the same future awaits your gorgeous, gorgeous boy. And although he may not be going to school right now, just by looking at all the photos of him, I know that Ty is wise beyond his years and teaching his family, friends and indeed the world, about the importance of faith and hope and love. The fact that he has suffered so much and yet continues to offer a smile is a true testament to his outstanding courage, strength and willpower. In my line of work, I have learnt that some adults can be somewhat dismissive of children when in fact we have so much to learn from them- your son is a shining example of that! Simply put, children like your amazing SuperTy are the true heroes and angels on this earth and I know he is so lucky to have such devoted parents and an adoring little brother. Cindy I remember reading in one of your entries about you wanting to leave your hand with Ty and then I don't know if it was you or someone else suggested a lock of your hair. I was wondering if you ever thought of getting a recording of Ty's heartbeat and placing it in a teddy bear that you could always keep for you to always have him near you. I pray for you and that beautiful little boy everyday that miracle will happen. Love to you and your family. My continued & constant thoughts & prayers are with you & your family. Ty, I have been deeply touched by your heartbreaking courage & journey. " Superty, " you are a " super hero " & will always have a very special place in my heart. You will be in my prayers tonight. Here I am sitting in my study (Melbourne, Australia) paying bills and getting frustrated because I have so many to juggle this month. Then I read your story. I am so ashamed for thinking I had problems. I hold back tears so my daughter doesnt ask what is wrong. I don't want her to know that there is a disease called cancer that takes so many precious lives. I can't offer you any advice, but wishing you all the very best. Stay strong. You are in inspiration to others, I am sure. I just saw an article with Ty on ninemsn and I cannot find words to describe how sorry I am that you have to go through this horrible ordeal of watching your baby suffer. I never understood how anyone could go through this but reading your post makes me realize that God really does give strength and helps when everything else fails. Thank you for sharing with us about Ty... He is such a sweet and loveable little boy and I know that even if God doesn't perform a miracle, you will be all reunited with him one day, never again to be separated. Although I live in Australia and can't meet Ty now, one day when this horrible world will be over, I'm looking forward to meet him and I know I'll find him in your arms. I'm praying for you and Ty and I know that God will help you! Hope you'll have a good and restful day/night. God bless you and your precious family. I do hope that Ty will get well as so many other children in the world miraculously get well. But I would also like to tell you that you do not have to worry at all about what will happen to him if he ever falls asleep. I know it will be unimaginably hard for you and your family because you will miss him so much but as for him, he will be at perfect peace. I believe in the Bible wholeheartedly because of all the things it predicted that came true and because of all the historical and archeological evidence. According to the Bible when we die we go to sleep and are unconscious. We don't know anything untill Jesus comes back and raises us all up again. That's when those who are alive and and those who have died will all live together again for ever and there will be no more suffering ever again. I know that sounds like fairy tales but there's so much evidence that God exists and that what He says is true and there's so much hope for the future. You don't know me, but I feel like I know you. I want you to know that I pray for you, every day. I pray that you will find healing and that God will bring it swiftly. You are such an inspiration to me; constantly reminding me to take nothing for granted. 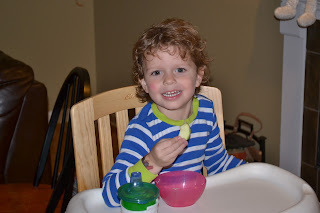 My 2 year old son is reaping the benefits of my new found approach to life and it is thanks to you. I want so badly for you to be healed and to conquer the illness that is causing you so much pain and discomfort. I want so badly for your mama and daddy and brother to be able to watch you grow up and become an advocate for this horrible childhood disease. That is my prayer for you. You deserve so much better than what "modern" medicine has been able to offer to you and I sincerely hope with all my heart that God delivers you from this. I see the pain your parents eyes and the frustration in yours; pictures are worth so much more than 1,000 words. Have comfort, little man. Have peace my young friend. Find your healing, super Ty. Keep on smiling, there is nothing more beautiful than that. Your mama and daddy and brother are some very strong people, you are lucky to have them. Sending my love, hugs, prayers, and thoughts to you SuperTy and to your mama, daddy, and brother. Lots & lots of prayers for you, Super Ty, Lou & Gavin as well as the rest of your family. I was thinking of Christmas gifts and I thought of you. A finger print necklace, that way you have Tys little print always around your neck. Again many thoughts and prayers your way and you and your husband are truly amazing people. God could not have given Ty better parents. Sending lots of love and prayers yor way. God bless your gorgeous, beautiful little boy and your family, my heart aches for you and i pray for a miraculous quick recovery for him. I have a little boy who looks a lot like Ty. Today I took him to the park "without first showering" cause he didn't want to wait and he knows I take a long time, After reading your story I said you know what, forget the shower, he was so happy. I also blew bubbles with him outside even though I had so much to do in the house and he's sleeping in my bed tonight even though he's not supposed to, in fact he's next to me right now looking happier than ever and so content, I promise to give him more days like this and think of your precious little boy every time I do. I'm also giving your baby imaginary hugs and kisses, from one mommy to another. "His favorite color is green mommy, I think that is mine too". My daughter said after hearing the eloquently spoken words of Cindy Campbell at the soccer field yesterday. We bought our tee shirts, but hardly felt like we are doing enough. I wanted so badly to speak with Lou and Cindy Campbell but knew I would burst into tears! I watched Gavin play on the side a few times I was in awe of the Campbell strength and happy to see that Ty's fight will bring great things. You are truly amazing people with so much to do in this world! Ty has the perfect team here making a difference while he guides your hearts with his spirit.